My Transkei inspired pattern is now available for purchase on Spoonflower! A couple of weeks before my nephew was born I had this idea to make a Transkei themed pattern for a baby blanket for him. My sister and I grew up in what used to be called the Transkei but is now a part of the Eastern Cape, South Africa, which is referred to as The Wild Coast. My sister has been living in the US for quite some time now, but I know how much she loves The Wild Coast and still considers it home, so I thought it would be a cute and special gift for her baby boy to design something that includes all the local animals we still see roaming the area. 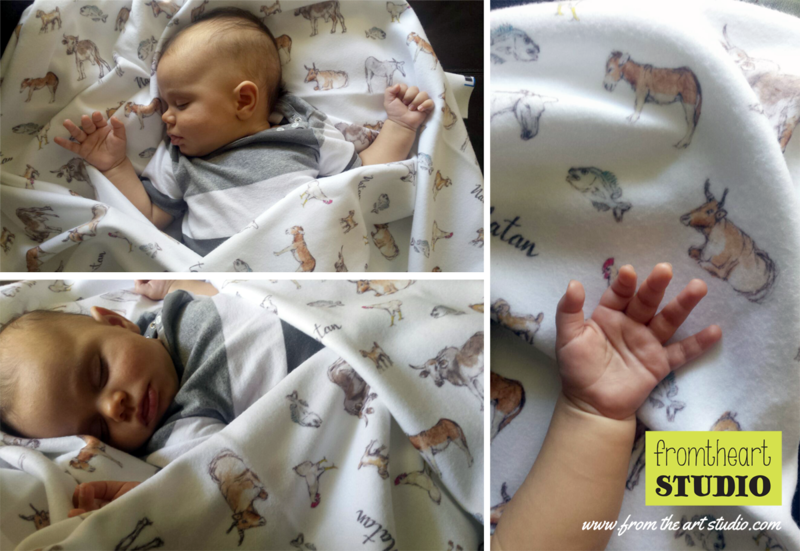 I received such a great response on Facebook when posting a photo of little Natan with his blanket that I have now made the pattern available for purchase through Spoonflower. The available pattern of course does not have my nephew’s name on it, but it has a little black pig in its place. 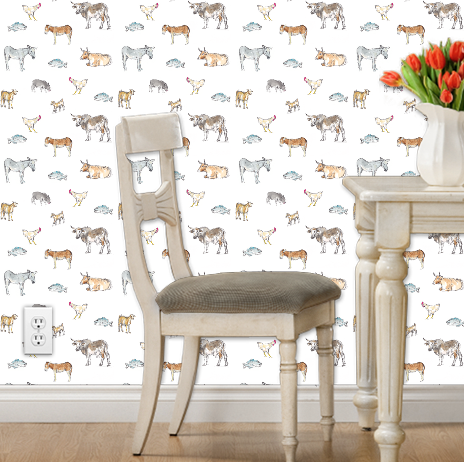 The full pattern features cows, goats, chickens, pigs, donkeys and fish. 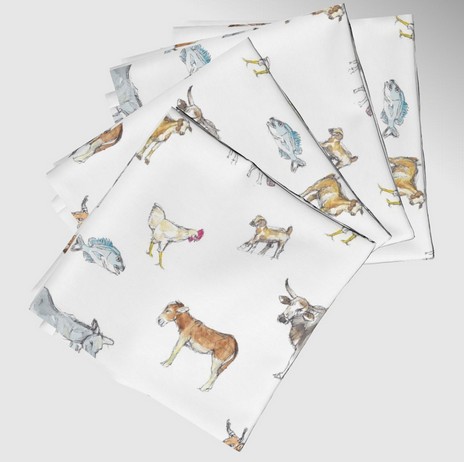 You can order the pattern on a variety of fabrics, as wallpaper or as gift wrap. You can even order fully made-up home decor products such as napkins and cushion covers through Roostery by using the Spoonflower URL for the pattern when choosing your product. Or you can order from a wide variety of “cut and sew” patterns through Sprout using the Spoonflower pattern ID. Currently there are only two other patterns available but I am in the process of uploading some that I designed a couple of months ago and they will be available in the coming weeks. You can follow my Facebook page to be informed when new patterns are available in the shop.